Marlin, Mahi Mahi (Dorado), Wahoo and Tuna around the world. Take a deep breath of fresh caribbean sea air, enjoy the sun and compliments of our professional crew while we take you trolling for big fish at our fishing grounds! It does not matter is this is your first time doing deep sea fishing or if you had being out there before. Our crew will do the best to give you a fishing experience of a lifetime! 1980. Worked at a scuba shop as a Dive Master while studying at Inter-American University of Puerto Rico, San German Campus from which he graduated in business. 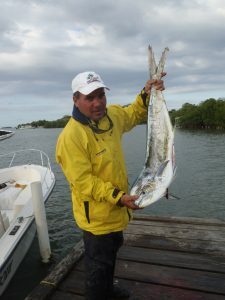 He started learning about the sea from local fishermen, one day he got an invitation to go fishing for blue marlins and mahi mahi and everything changed from that moment; from underwater to trolling for big fish! We invite you to charter with us and fish with passion, enjoy our tropical sun and breeze as well as our specialized crew willing to make your fishing experience one of the best of your life! This company is endosed by the Puerto Rico Tourism Company and licenced by the Department of Natural and Environmental Resources of Puerto Rico. Why you should charter with us? 2007 Mako 234 CC Offshore Edition with twin 140 HP Suzuki Four Stroke. Licensed to operate under Department of Natural and Environmental Resources of Puerto Rico. 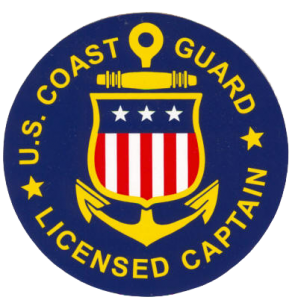 Captain & crew enrolled on drug testing program (USCG REG CFR PART16). We fish with passion, and work hard to give you the best fishing experience! Call for information on other activities offered. Ask us about Mona Island Trips (West of Puerto Rico). Ask us about Isla Cardona Trips (Ponce, Puerto Rico).